Whitney is a very attractive, slim, blonde, blue-eyed, white woman; not the typical look associated with severe drug addiction. Whitney had her wisdom teeth removed as a teenager and received Vicodin for the pain. This was her first abuse of opiate drugs and it led her to heroin and meth. For most of the past five years, Whitney has been homeless, living on the streets of Santa Cruz, California. Her addiction caused her to lose several jobs and to steal from homes and stores, where the hardware store became her specialty. Her boyfriend went behind bars for these crimes and got cleaned in jail. When Whitney saw the improvements in his health, she was inspired to get cleaned. Whitney detoxed alone and now lives in the Gault House sober living environment in Santa Cruz, California. 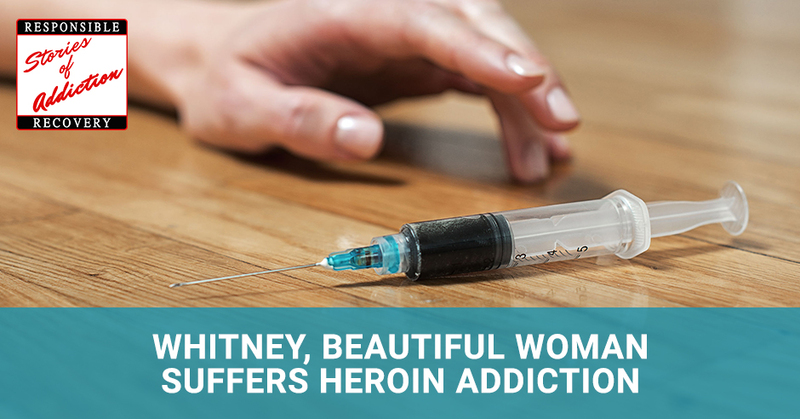 I will be talking with Whitney about her addiction and her recovery from addiction. Whitney, welcome to the show. I’m going to start by asking you how your addiction started. When I was a little kid, my parents always said that they knew from an early age that I was the one that was going to struggle with addiction out of my sisters. I was distributing or displaying addictive behaviors at a young age. I can remember when it started was probably in my teens. I had my wisdom teeth pulled and I was prescribed Vicodin. That’s when I had my first taste of addiction, addictive behavior. I took advantage of that prescription. That’s when my opiate addiction started. From there over the years, it slowly progressed and escalated to me shooting heroin and meth. That’s where it started. Where did you go when your addiction started? Where did you go to get your drugs? I think of the last several years is when my addiction progressed and got worse. My boyfriend and I had some dealers around town, but because we were far in our disease, we lost our jobs. We couldn’t hold down a job. We became homeless. We were living on the streets. We resorted to shoplifting. I remember we would go into all the hardware stores in the area and load up with super expensive tools. It got to the point where all the employees knew who we were, and when we showed up they were ready for us. They would try and create a barrier from the exit. It got to the point where we would charge through them and run out the door. 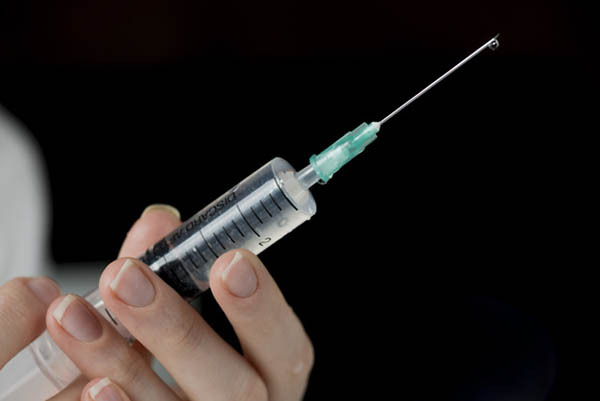 Heroin Addiction: There’s just something about the needle that was equally addicting just as much as what was in it. We were so desperate to support our addiction. We had no other options and we knew that it was most likely going to result in jail. In your addiction, you don’t care. All you care about is getting, using and figuring out how to get more. That was our world. Our whole day was based around the getting, the using and then getting the means to get more. It was like a full-time job. It took up all our time. We didn’t have time for anything else. That’s when I started shutting out my family, shutting out anybody that cared about me because in my eyes they were an obstacle between me and my using. I didn’t have time for them anymore. My world became small. I would sell everything I owned, including the shirt off my back if it meant getting drugs. That’s what my world became. How did you administer the drugs? In the beginning, when I was first introduced to opiates, I would swallow Vicodin. I would take it orally. As that progressed, it went from orally to I would then snort my drugs. I would smoke my drugs. Last several years, I shot all my drugs. It became whatever I was doing had to be shootable for me to use it. It was the final frontier for me in a way. There’s something about the needle that I was equally addicted to just as much as what I was putting in the needle. I remember when we were sick and we didn’t have dope, we were scrounging around for anything that we thought might resembled drugs and we would shoot it just to put a needle in our arm. That was as much of an addiction as the substance itself. You were homeless with your boyfriend. Being homeless, how did you pay for your drugs? When we were homeless, that made everything difficult because we had obviously nowhere to go and sleep and recuperate. It was difficult. We went weeks without sleeping. I’m not even exaggerating when I say that. We went weeks without sleeping to the point where we were both in full-blown psychosis. Living on the streets, you are prone to other horrible things like being dirty or hygiene and not being able to shower. I still have these spots on my head that are growing back hair because I was so far into psychosis. I would scratch at this spot on my head and then I would end up getting these fungal infections that would take over and I would lose my hair. That was a result of being homeless and being dirty. The getting and using when we were homeless, since we didn’t have money, we had to use other things to get drugs, which is when we would hit up the hardware stores. If we knew what our dealer was looking for or wanted, we would go get that. We were putting ourselves in extreme risk making these huge, stupid sacrifices for nothing. We would put ourselves in a lot of dangerous situations, put ourselves at a lot of risk for essentially nothing. When you talk about risks and dangerous situations, what do you mean exactly? Risks, we were in a lot of trouble with the law. We were hanging around a lot of sketchy people. We were stealing from people and a lot of those people would find out or they would catch us in the act. We were constantly putting ourselves in situations like that that usually never resulted in a good outcome. We were putting our safety at risk. We were putting our freedom at risk. There were a lot of times where one of us would have to go off and try and make the means to cop dope. The other one would have to wait sick wherever we were in a park, in an alley. A lot of times I was left alone by myself in usually a sketchy place. I can remember lying there feeling helpless, scared, not being able to do anything about my situation. It was a scary, dark place to be. What caused you to turn away from drugs? I went through it. I called my mom on Mother’s Day and I said, “I’m going to detox.” I went through it cold turkey and that was probably the sickest I’ve ever been in my life. The worst detox by far. Going through it, it was hard to see the light at the end of the tunnel. I give my Higher Power all the credit here because there’s no way I could have gone through that without the help of something bigger than me. That’s exactly what happened. My Higher Power kept me safe and got me through it until I could get to a point where I could start making decisions for myself. Thinking for myself, take the reins and get into my recovery, which is what I did. I didn’t necessarily have to go to treatment, although I’m a big advocate for treatment. I knew that if I did what it takes, anything’s possible. I knew that I could get where I wanted to be and I knew that I could do this. It came down to doing what you have to do. For me, that required moving into an SLE. It required getting a sponsor but not getting a sponsor just to say I had a sponsor. Really getting a sponsor so I could start doing the work and the steps. It required me to take on commitments. It also required me to do things that made me uncomfortable. Somebody once said in a meeting that makes a lot of sense to me. I think about it all the time. They said, “If you’re not uncomfortable, you’re not growing. If you stay in the same place for too long, it becomes your grave.” I think about those things all the time. Anytime I don’t want to reach out to somebody or I don’t want to go to a meeting or I want to isolate or do what I want to do, I think about those things. My life is worth doing what it takes. Now, I do all these things. Even though I don’t always want to do them, I know that they have to be done. I’ve seen a lot of people around me go out since I’ve been clean. It’s sad, but I’m at this point where I don’t get surprised anymore because most people will go out. The statistics are against us. A small percentage of people stay clean and the difference is because they do what it takes and they do what they have to do. I want to be a part of that 2%. I’m doing what’s been suggested to me and it’s working out so far. You spoke about going to meetings and getting a sponsor. Are those the keys to your addiction? What are the real keys to your addiction? Heroin Addiction: My higher power is the accumulation of many things that is constantly changing. I would say those are big keys to my recovery and stuff. The biggest thing for me has been as cliché as this may sound, getting into the steps and giving them everything I have. That’s what I’ve been doing. I’m on step eight and I’ve never made it past three or four. It hasn’t been easy. I’ve had to do things that I haven’t wanted to do that have made me uncomfortable. I know that doing them, I’m that much stronger and I feel that much better in my recovery. What is your opinion on the Twelve-Step Program or the Twelve-Steps period? A lot of people get afraid of the Twelve Steps because they correlate it to being a religious program or this religious cult. That’s probably the biggest misconception about the Steps. It’s most definitely not a religious program. It’s completely a spiritual program. I’ve always been somebody who’s been borderline agnostic, atheist. I haven’t been somebody that had an easy time believing in God or something like that. It’s not about that. For me, my higher power is an accumulation of many things. It’s constantly changing. It’s not this one set idea, it’s a bunch of different things. Sometimes my higher power is the group of drunks, the fellowship. Sometimes it’s the gift of desperation. It’s constantly evolving and it’s more about for me willing to believe in something bigger than myself more than defining what that thing is. I’m willing to believe in something bigger. The Steps to me is more a set of principles to live by more than anything else. What does your future look like for you? For the first time in a long time, I see that I have a future. I have all these goals, hopes and dreams that I never even thought were possible. This short amount of time that I’ve been clean, I’ve already seen a lot of those things come true. My goals and my dreams have been bigger than I ever thought. I’m uncertain of my future but I do know that it’s full of possibility. I have hope because of this fellowship and program. I know that I’m going to live beyond anything I thought was possible. I’m not exactly sure what is in my future, but I know that I have a future and that it’s big. I’m excited to be alive. Whitney is a client at the Gault House Sober Living Environment in Santa Cruz, California. Whitney is 35 years old. Whitney comes from a good home and ended up being homeless on the streets doing heroin. I appreciate your story, Whitney. Thank you for joining us on the show. 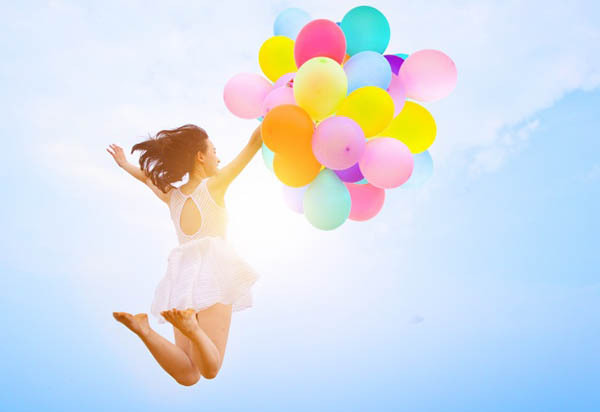 To our readers, we wish you to stay sober and happy. Whitney is 35 years old and grew up with several sisters in Santa Cruz, California area within a good family environment.